Are you passionate about an area? Do you want to start your own business some day? Are you willing to work hard? By Jason Daley: …Multiple studies have indicated that there may be an “entrepreneur gene”–or at least that people with certain genetic characteristics and personality traits are more likely to be successful entrepreneurs than others…..Scott Shane, professor of entrepreneurial studies at Cleveland’s Case Western Reserve University, suggests that genes don’t just influence whether a person will start a business; they may even determine how much money a person will earn. In other words, some people are born to be alpha wolves, and the rest will work in the mailroom. From Laura Yecies, CEO of SugarSync: As a parent of 4 I saw different tolerances for risk in my children as early as 6 months of ages. I did not teach that to them – it was part of who they were….Many of us know someone who is normally very quiet but becomes animated and forceful around a specific. That passion can help us seek out the experience we’re lacking and possibly take uncomfortable risks….We can’t pick our parents nor our upbringing. We can, however, choose how hard we work, what skills we develop and how we can be our best self….Pair the style that works for you with the Malcolm Gladwell recipe of 10,000 hours of practice to get good at the key skills and I think you can have a winner. By Karen Klein, award-winning LA-based journalist: Scott Shane, my fellow columnist ….says that the tendency toward entrepreneurship is about 48 percent “heritable,” meaning influenced by genetic factors. Does this mean that people born without a family history or natural tendency toward entrepreneurship should shelve their dreams and stay in their cubicles? Absolutely not. “From what I have seen in my nearly 20 years’ experience with the Entrepreneurs’ Organization, anyone anywhere has the opportunity to build a business as long as they have a passion, an attitude of never giving up, and valuable mentors that can complement their skill sets,” says Dean Lindal, the organization’s vice-president. The very traits that lead naturally to entrepreneurship can have negative flip sides. “The fact is, most entrepreneurs fail at what they try to do. They fail because they rely too heavily on their innate skills and not enough on learned skills,” says John Delmatoff, an executive coach based in Murrieta, Calif. Last, business training program he worked in at the University of Southern California shows that 87 percent of successful entrepreneurs start companies in niches where they already have business experience. From brain researcher John Assaraf of “The Secret” and author of “The Answer”: I actually think it’s a combination of both. We know that 50 percent of our thoughts and actions are genetically based due to our heritage. The other 50 percent we learn from our environment and conditioning as children.What I think determines success in entrepreneurs is whether someone has a burning passion in their belly to make something of their lives regardless of genetics, education or training. There are examples all over the world of both types who come from great business genetics but who don’t do anything grand in business, and then there are those who come up the ranks of poverty to create masterpieces. Give me a hungry-hunter type of personality willing do whatever it takes to create their masterpiece, and I’ll show you a successful businessperson. 1) Do you believe entrepreneurs are born, made, or a combination of both? Why? 2) Is Scott Shane’s research fair? What is an example of someone having an innate trait, but not using it. What about having an innate trait, and it gives them an advantage? Consider the opposite as well: NOT having the innate trait, but working very hard to develop the trait. Is the “innate trait” work ethic – thus making his research true? Lead a discussion on traits we’re born with, versus develop, and how it applies to the examples above. 3) Complete the Entrepreneurial Traits Module of the free EITC Curriculum Module 1, Exercise 1-3. 4) Complete this 30 minute exercise. 5) Advanced: Develop a column with “innate traits,” and “traits I’d like to work to develop.” Not sure about strengths and traits, consider the free VIA survey here. 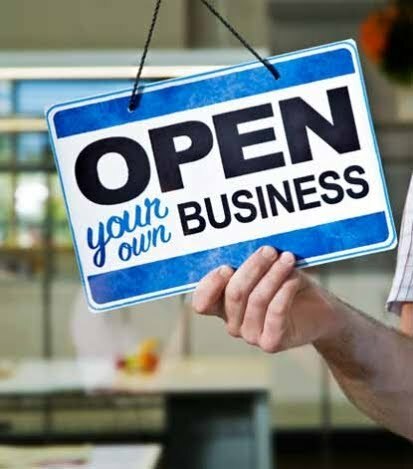 More Information The NFIB Young Entrepreneur Foundation is a 501(c)(3) organization promoting the importance of small business and free enterprise to the nation’s youth. More information is available at www.NFIB.com/YEF. The Foundation is associated with the National Federation of Independent Business; NFIB is the nation’s leading small business association, with offices in Washington, D.C. and all 50 state capitals. Entrepreneur In The Classroom. The NFIB Young Entrepreneur Foundation Entrepreneur-in-the-Classroom (EITC) supplemental curriculum exposes students to entrepreneurship and the necessary steps to take an idea and turn it into a business. The free curriculum can be integrated into classes teaching a variety of subjects including music, art, fashion, business and many more. Just register for full access to the Entrepreneur-in-the-Classroom curriculum. Entry filed under: Business exercises, Curriculum, Educators, Entrepreneur, Free, Teaching tools, Young Entrepreneur. Tags: 10000 hours, Bloomberg Business Week, Dean Lindal, Entrepreneur, Entrepreneur Magazine, Entrepreneurs Organization, Forbes, hereditary traits, Jason Daley, John Assaraf, John Delmatoff, Karen Klein, Laura Yecies, Malcom Gladwell, research, scott shane, success magazine, The Secret, Traits, twin study. Successful, Unconventional Entrepreneurs	How Much are You Worth?